Now that Thanksgiving, Christmas and the New Year holiday are past it’s time to prepare for the biggest party of them all - Super Bowl Sunday. My all-time favorite things to cook are football party snacks – wings, sliders, nachos, pizza – the list goes on. To me, Super Bowl snacks are like a simple American version of Spanish tapas, which are a variety of small appetizer-like bites served one after another to form a meal. It’s an excellent way to eat hardily with friends and family in a social setting — much like treats on Super Bowl Sunday. 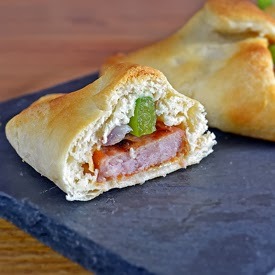 For this recipe, I take the classic “pigs in a blanket” and make it a Super Bowl worthy treat. For extra pizzazz, I make it with smoked sausage and add marinara, green pepper and onion. Together, these flavors combine for an easy score. I decided to make this recipe because of a mistake in documenting the dish I created the day before. I had forgotten to take a picture of smoked sausage after I had sautéd it, which creates little caramelized spots on each slice. I do that because those spots are little flavor bombs that give a dish with smoked sausage a little extra flavor pop. I bought the sausage to photograph and thought it would be a good ingredient to use in my first Super Bowl snack of 2014. Each year I have really enjoyed creating new treats for the big game. With the sausage on hand I decided a souped up pigs in blanket was in order. Some food bloggers and gourmet cooks may turn up their nose at such a primitive treat but for me it’s a simple and tasty snack that anyone could recreate as part of their own Super Bowl spread. 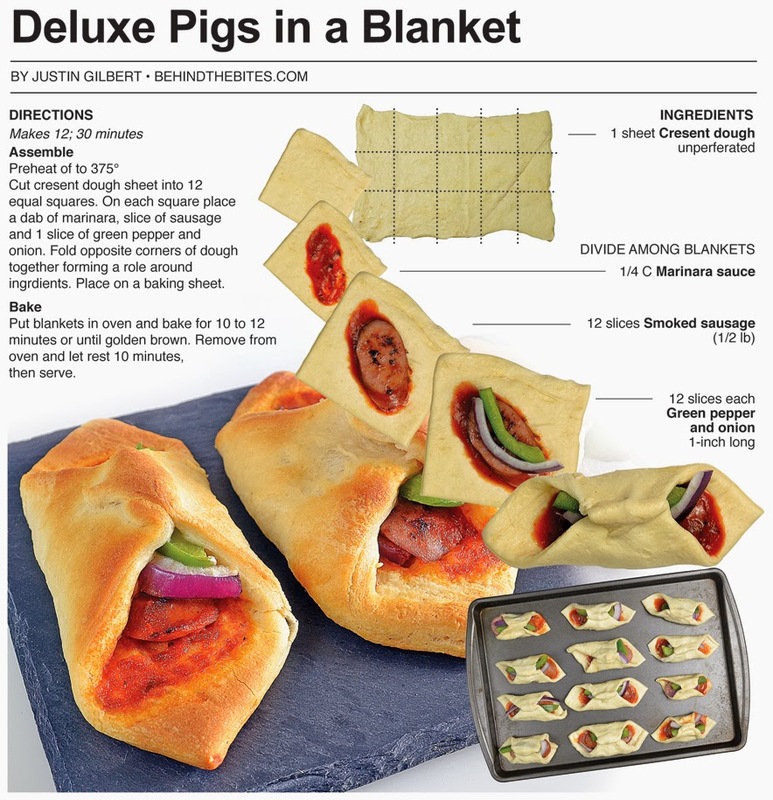 These deluxe blankets are tasty, simple and great to wash down with beer! Cut cresent dough sheet into 12 equal squares. 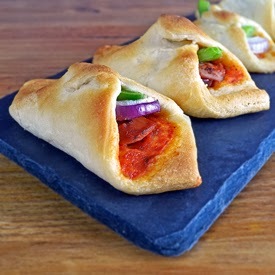 On each square place a dab of marinara, slice of sausage and 1 slice of green pepper and onion. 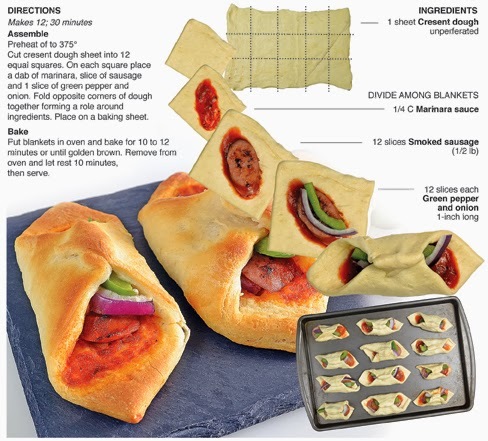 Fold opposite corners of dough together forming a role around ingredients. Place on a baking sheet. Put blankets in oven and bake for 10 to 12 minutes or until golden brown. Remove from oven and let rest 10 minutes, then serve.